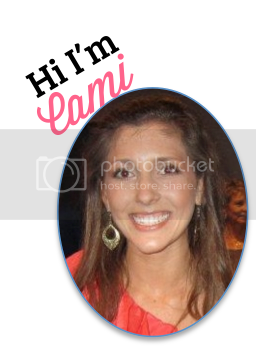 First Day of My Life: Cami's TOP Lotion! I always like trying new things. Even though I know the very BEST sushi roll to get one I get to my local sushi watering hole...I always have to try something new. Do you girls ever do this? Want to try something new & then pay for it? What's your GO-TO, favorite lotion?! 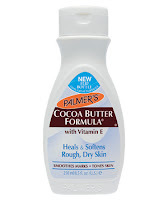 I keep Palmer's cocoa butter in my purse. It smells like chocolate to me haha! My favorite lotion though is the St Ives Natural line. Right now I'm using Naturally Indulgent; coconut and orchid! The shea butter one is good too. I am going to have to try this - I need a new go-to lotion!! Thanks girl! i hate trying new things, i never do. Ever! unless i get a really good review, then maybe haha!! i love awake lotion by suave! I love the Burts Bees pump lotion. It is paraben free which is important to me! I've never tried that before...I usually just buy whatever's on sale since I'm always trying to budget. Next time I see that, I'll have to give it a try though. I love Bath and Body Works body cream or regular lotion. I am currently using Paris Amour at home and Brown Sugar and Fig at Old Navy. (I keep one in my locker since handling money and clothing and using hand sanitizer all day dries my hands.) I also have Extreme Repair by Beauti-Control. It's unscented and great for the winter months. I've NEVER used anything that moisturizers/heals dry skin as well. It's fabulous!